A mature tree can provide many important benefits including carbon storage and energy absorption. It is useful in stormwater management because its leaves act as a buffer, slowing down the speed of rain as it falls, and absorbing it. Depending on their size, the leaves on trees can catch a significant amount of rainfall. Other options are being explored to help sustain urban trees. 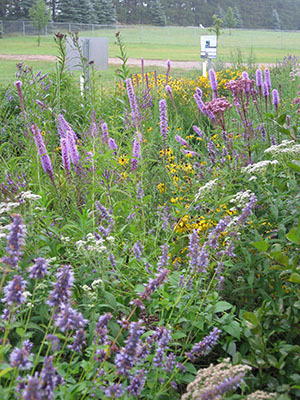 Check out what the city of Minneapolis has done using trees for stormwater management.